20 young people, 5 countries, + 25 workshops carried out, + 500 youngsters involved in educational and gardening activities: these are a few numbers of the European Voluntary Services within the project “Planting Cities” (Erasmus+, Key Action 2 – Capacity Building in the field of youth). In Palermo, the 4 EVS volunteers carried out activities at the CODIFAS’ shared urban garden; supported by a tutor, they had the opportunities to acquire technical skills in the gardening field, by learning new methods and products different from home country. By contributing to the development of the urban garden, they got inspired for the local workshops carried out during the 5 months; as in the other partner countries, the EVS volunteers planned and implemented educational activities targeting the local community; in particular, youngsters from Ballarò (a deprived area of Palermo) and the informal local group BaddarHome, pupils from multicultural kindergarten UBUNTU, disabled people from the cooperative La Fraternità were involved in workshops about recycle, vertical garden, requalification of abandoned green spaces, etc. In addition, these volunteers supported the daily activities of the cooperative La Fraternità and Casa di tutte le Genti, another multicultural kindergarten. For these Asians, this experience has been deeply valued due to the strong multicultural dimension, since they had the opportunity to know and meet many migrant communities in Palermo and other EVS volunteers hosted by CESIE and coming from several EU and third countries. 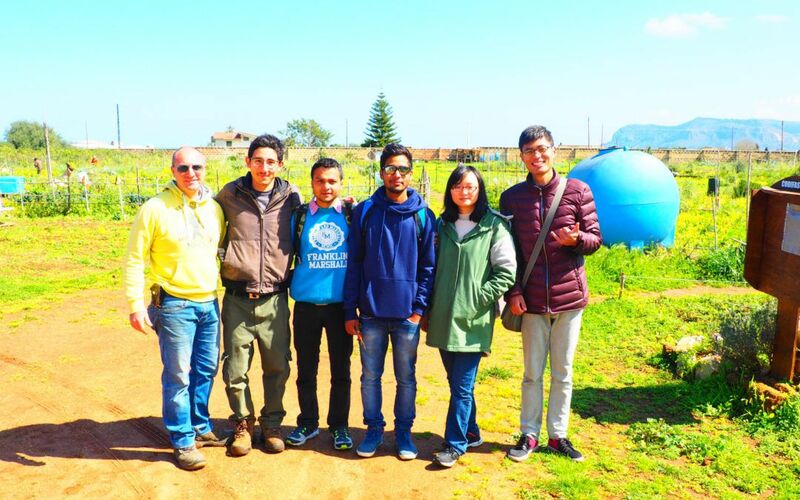 If you want to discover more these EVS experiences, read Ye Wu’s article, one of the 2 Chinese volunteers hosted in Palermo. For further information about the project, visit the project website and facebook page or write to giuseppe.lafarina@cesie.org.